• 1165 sqft , 2 bath , 2 bdrm apartment “2 bedrooms, 2 baths” – FOR SALE CAD298,800 . A Well loved, well cared for Seniors Building ! Come to popular Elmwood Terrace! You will love living here! And this suite? Its big, its updated, its perfect! Living and dining area is spacious, lots of room for your family to visit. Modern updated kitchen with cozy eating nook. Brand new laminate flooring! Good sized bedrooms, and two 4 piece baths. Enjoy your morning coffee in the sun-room overlooking the mountain views. Storage room insuite, room for all those extras. Book an appointment today, you won’t be disappointed! Upscale Urban Condo in The Residences in Garrison Crossing! • 593 sqft , 1 bath , 1 bdrm apartment – FOR SALE CAD303,000 . Single and Gorgeous! 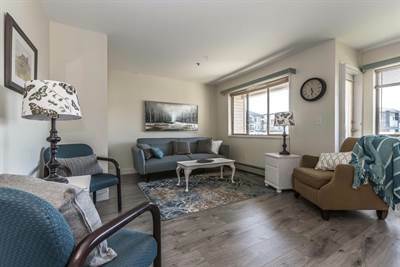 Are you looking for mountain views, to be steps from amenities, to live in a like new condition condo that’s located in an award winning development? Then this is for you! 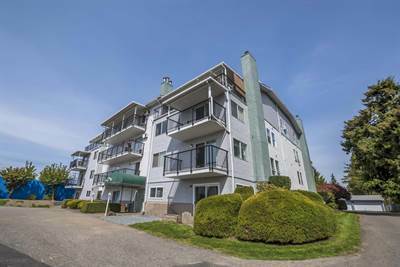 This top floor 1 bedroom, 1 bathroom 524 sq ft rentable condo is located in the heart of Garrison Village overlooking the village center with Mt Cheam as your backdrop. Inside this modern designed condo, is a generous sized kitchen with granite counters and stainless appliances, an eating area and counter height breakfast bar. Enjoy the Garrison lifestyle.. Plus in suite laundry, your own secure underground parking spot and access to a storage locker. Fantastic Mountain and Street Views from this Upper Floor Condo! 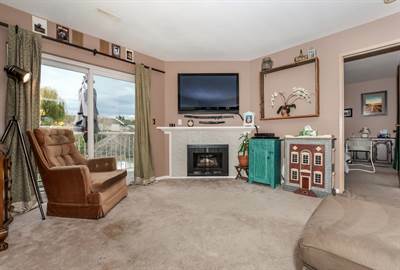 in Central Chilliwack, Chilliwack Announcing a price drop on 201 46033 Chilliwack Central Road, a 963 sqft , 1 bath , 2 bdrm apartment “Bright, spacious, 2 bedrooms 55+”. Now FOR SALE CAD179,900 . New Price! • 963 sqft , 1 bath , 2 bdrm apartment “Bright, spacious, 2 bedrooms 55+” – FOR SALE CAD204,900 . 55+ well cared for building! 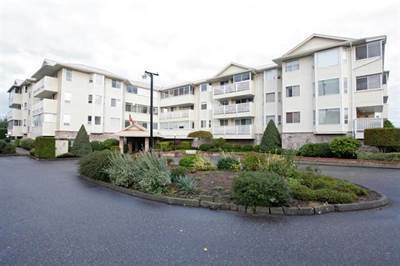 Bright, Spacious Corner 2 bedroom condo in 55+ building. Panoramic mountain views from south-facing 2rd floor balcony. Featuring newer flooring and a large living/dining room with gas fireplace and includes all major appliances. You’ll enjoy having a Guest/party room for guests. 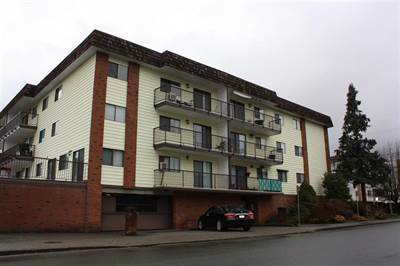 Well cared for building in a great Chilliwack location! 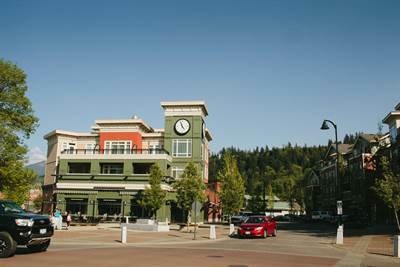 2 Bedroom Condo in Central Chilliwack! • 876 sqft , 1 bath , 2 bdrm apartment “2 beds and 1 bath” – FOR SALE CAD145,000 . Affordable City Living! Beautiful, 2 Bedroom, 1 Bath Apartment in Down Town Location, Walk to Everything. Newer Roof and Updated Flooring. Shows Really Nice!! This Home is Just Right, for Practical Retirement Living. Storage Locker on the Same Floor as well as a Storage Locker on Ground Level. Secured Garage on Main level. Very Functional Floor Plan and even a Storage Room in the Suite. Big Balcony to Relax and Enjoy your Morning Coffee. Come see! You won’t be Disappointed! 2 7715 Luckakuck Place in Sardis West Vedder Road, Chilliwack is Sold! in Sardis West Vedder Road, Chilliwack The single story at 2 7715 Luckakuck Place has been sold. Posted on February 28, 2018 February 28, 2018 Author Clark Hitchcock SRESCategories Condos, Apartments for Sale in ChilliwackLeave a comment on 2 7715 Luckakuck Place in Sardis West Vedder Road, Chilliwack is Sold! 305 9186 Edward St in Chilliwack Hospital , Chilliwack is Sold! in Chilliwack Hospital , Chilliwack The apartment at 305 9186 Edward St has been sold. Posted on February 8, 2018 February 8, 2018 Author Clark Hitchcock SRESCategories Condos, Apartments for Sale in Chilliwack, UncategorizedLeave a comment on 305 9186 Edward St in Chilliwack Hospital , Chilliwack is Sold! The Brixton! Deluxe Condo Living! • 1080 sqft , 2 bath , 2 bdrm apartment “Fantastic Condo Living!” – FOR SALE CAD399,000 . Move in Ready! The Brixton!! 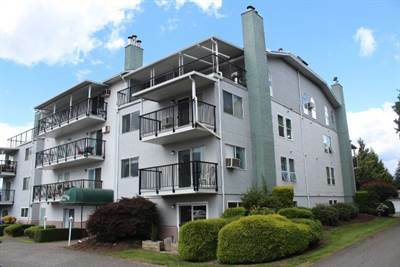 Beautiful Spacious Condo in newer building in great central location. Open floor plan, with two generous sized bedrooms, two full bathrooms, shows like a 10! Featuring crown moldings, granite counter-tops, garburator, built-in microwave. Storage locker in safe and secure underground parking. No age restriction, no rentals, pets allowed. Hot water included in strata fee of only $250 per month!